If I were an ant 🐜 (or slug) I think this is how the world would look. Brilliant POV! Fabulous image! Fav! Fantastic POV! Love it so...fav! Wonderful shot. Fascinating POV...are you going to tell us how you did it? 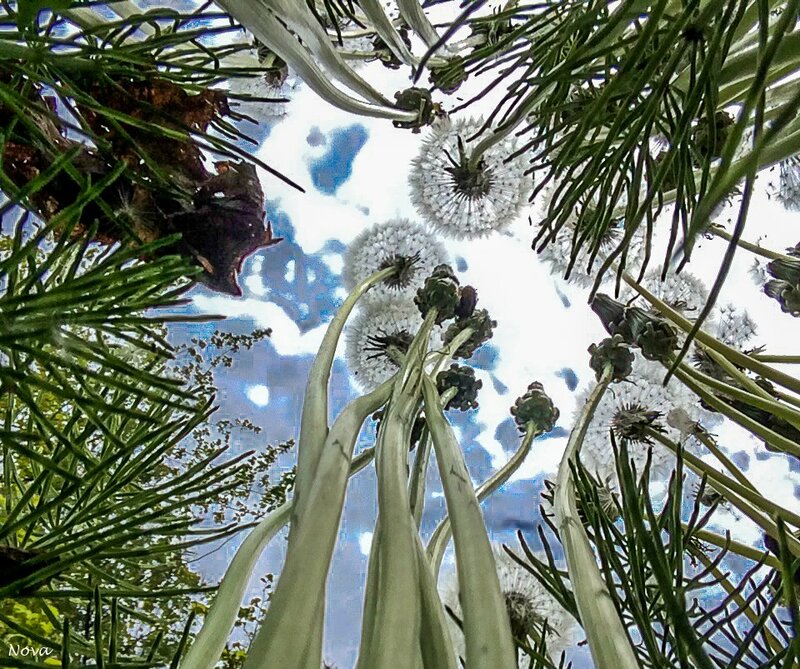 A fabulous bugs eye view. fav. Awesome pov Nova..............did you get a little wet down there? Wow! Such a cool shot! Thanks to each of you for taking the time to share your kind words and favs on my little photo. Gary wanted to know how it was done and the sassy me wants to say "with a camera" (LOL), but I will let you know, I used my cell phone with the timer to get this shot. I did not get wet or eat any magical food like Alice in Wonderland. Have a great day! OMG I never think of using the timer on my cell phone........ thanks for the tip! Have a great day Nova!! Clever! Will definitely be giving this technique a go! @novab Thanks for the tip Nova, I have never used the timer on my iPhone.